The master bushings and insert bowls with the size from 17.5 to 37.5" ,They are cast with high-quality alloy steel and the sizes conform to API Spec 7K. There are two types : pin drive and square drive. 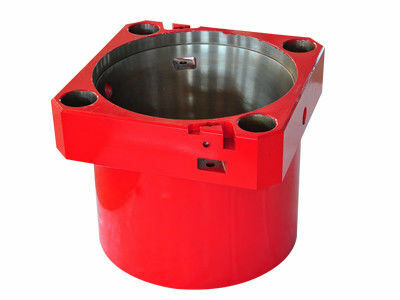 API standard rotary slip, drill collar slip ,casing slip or roller Kelly bushing can be contained in them .